Yes, according to recent reports in the SEO industry, yet another new Google Penguin update is no longer a rumor. However, the main focus is when will this update hit the market? 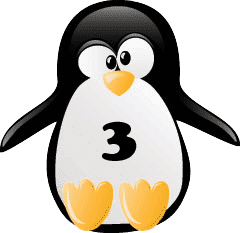 Recently, in Google+ Hangout, John Mueller was seen to mention that the engineers are all working on this (Penguin 3.0) update and he also admitted that it’s not far away. He also said that since we know that Penguin 3.0 is already on the horizon, it’s high time to ensure that your site is prepared to face it! With the new Penguin update, we can anticipate Google to hold up its values to enforce relevancy of sites and penalize sites that continue to manipulate Google search results. As it apparently seems, this update will focus heavily on low quality backlink strategies and over-optimized anchor-text usage. Throughout the entire SEO community, it is being said and believed that this is going to be a fresh algorithm update and not any small change and this means that Penguin will continue to question the negative SEO tactics. As we know that a major update is on its way, it’s high time that we take the right precautions and prepare our sites to face Penguin 3.0. Here are a few precautionary actions you may take. Audit all inbound links: Audit your backlink profile with both paid and free tools like Ahrefs, Majestic, and also Moz’s Open Site Exploer. You should also watch out for backlinks that are coming from low-quality and non-niche directory sites, links from irrelevant websites and deceptive forums and comment links. Focus on the anchor texts: It is believed that the Penguin 3.0 will examine and punish sites for over-optimized anchor text. Google has targeted sites that have anchor text options which are heavily optimized. The days of exact match and keyword-rich anchor text and gone and hence your backlink profiles should reflect this. Avert paid links: Every Penguin update till date has targeted paid and sponsored links. Hence, we can assume that with the next Google update, they will still continue punishing sites that are violating their terms and getting paid links. Irrelevant links: Links from high authority websites can help strengthen your backlink profile but relevancy is something that matters a lot in the eyes of Google. If a website on NYC restaurant review receives links from a site about exploration of space and universe, this can send warning signals to Google and trigger another algorithm penalty. Avert foreign domains: Unless your website operates abroad, getting thousands of links from spammy countries like China and Russia can seem to be fishy in the eyes of Google. There has been a large increase of negative backlinks from Chinese scrapper sites. So, while editing, check out for the low quality backlinks. Hence, if you don’t want to be a victim of Penguin 3.0 yet again, ensure taking the above mentioned steps to safeguard your website from the harsh consequences and strict penalties.